Very accurate autofocus - even under dim lighting conditions. The RAW support would be welcomed. 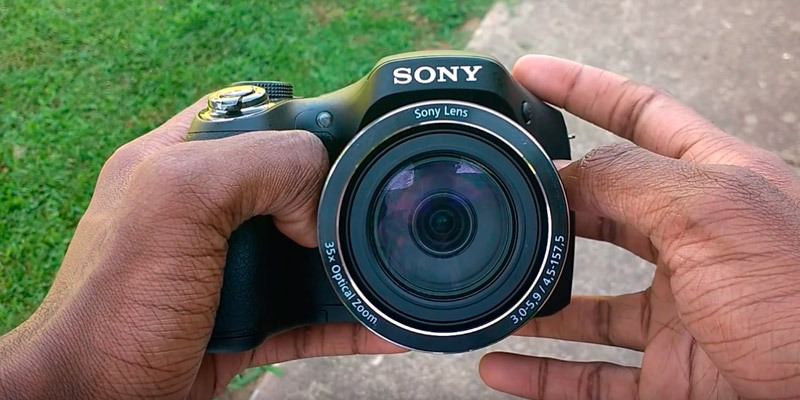 This Sony bridge camera provides a crisp, bright picture throughout the focal length range with minimum distortions and image noise. A very good choice for any photography genre. Exmor R® CMOS 20.4 Mp 1/2.3"
Special Zoom Framing Assist function uses digital zoom for finding objects beyond the optical zoom capabilities. RAW format support. Might not be very suitable for a low-light fast photography. The Canon PowerShot SX60 can be recommended for both wildlife enthusiasts and travellers, owing to its huge optical zoom and great wide-angle view at the closest focal length. Comparatively compact size and low weight make this bridge camera suitable for taking it along on long walks and travels. No mode dial on top for quick selection; no hot-shoe adaptor. 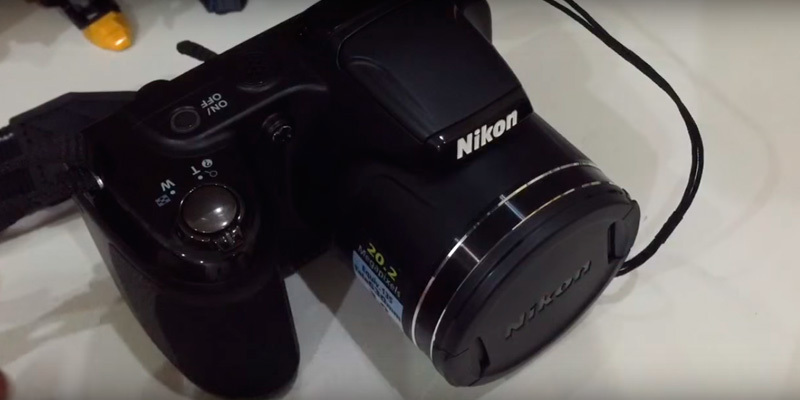 This entry-level Nikon ultrazoom camera is a viable solution if you want a simple point-and-shoot camera that will be suitable for both close-ups and long zoom shots. 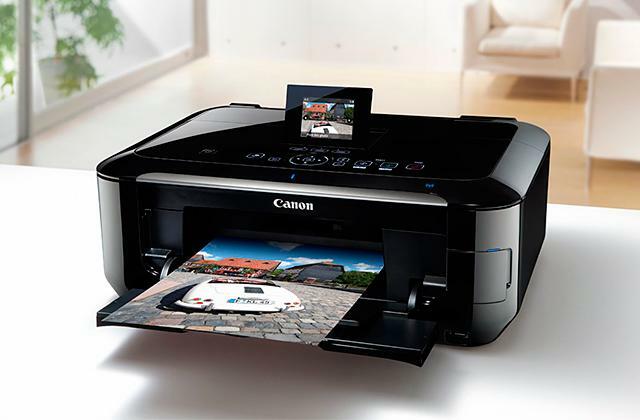 A big number of visual modes and graphic filters allow you to edit photos right on your camera. The video quality is lacking in dim lighting. The Sony Cyber-shot H300 is a versatile camera with great ergonomics and intuitive controls for shooting brilliant photos and decent video in bright lighting at home and outside. 20.1 MP Super HAD CCD 1/2.3"
Very low-energy performance allows taking quite a lot of photos before batteries go flat. Thanks to a big number of scene modes and high build quality, this Nikon camera can be recommended for both daily and sports genres. 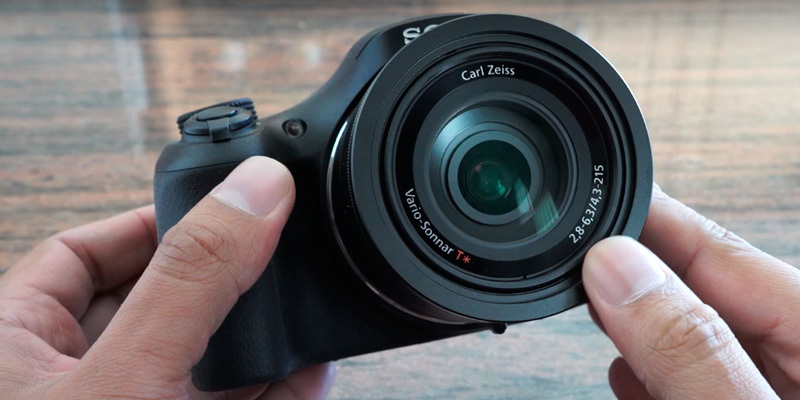 The compact Sony Cyber-Shot HX400V digital camera combines all the main digital functionality of a modern middle-range DSLR. This model is equipped with non-detachable Carl Zeiss Vario Sonnar T* lens that has a special coating, designed to pass through more light onto the sensor. The result is that the final image looks brighter, contains more visible details and of the better quality. 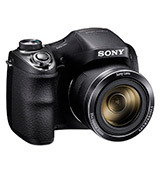 The Exmor R CMOS 20.4 Mp sensor is a Sony's branded variation of a CMOS sensor with special back-illuminated technology. 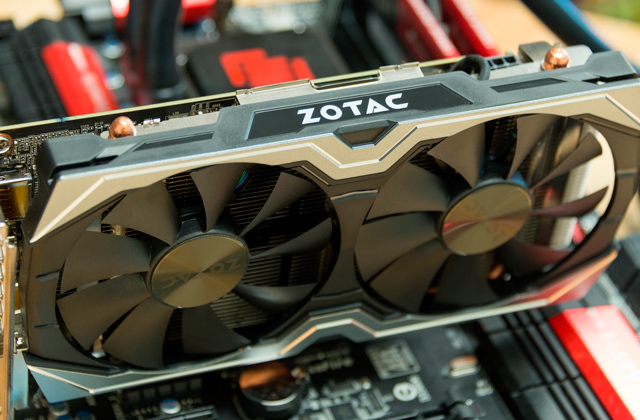 Unlike the front-illuminated sensors, this one reportedly has up to 2 times higher sensitivity. In other words, it shows superior performance in low-lighting and at the longer zoom settings. For many users, zoom is one of the most important parameters in bridge cameras. If you are one of them, you will appreciate the powerful 50x magnification ratio and image stabilisation that will allow you to use this camera for all kinds of photography genres: from a cityscape to wildlife animals close-ups without even coming too close to them. Designed to replace its predecessor HX300, the Sony Cyber-shot DSC-HX400V has got a new flip-out articulating 3" screen that is appreciated by many professionals and beginners alike. 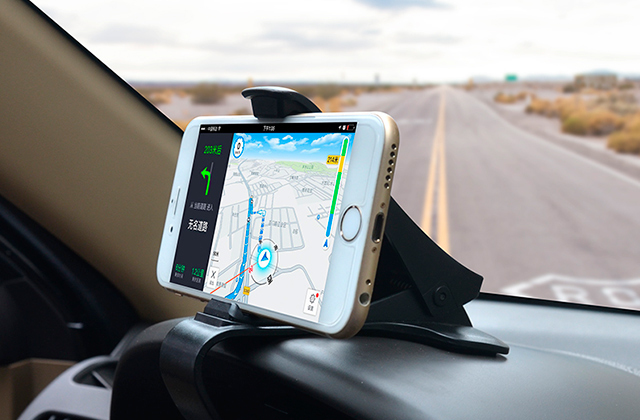 It also has almost 180° viewing angle that comes handy for shooting at awkward positions or checking out the photos on the screen along with your friend. For the most part, ultrazoom cameras suffer greatly from the dim lighting, resulting in photos being dark and grainy. However, this lens has an f/2.8 aperture at the shortest focal length position, meaning that it can pass through more light to the sensor. At the longest zoom setting, the diaphragm narrows down to f/6.3, which may still force you to use a higher ISO setting - up to 12800 in this model - to compensate the lowered light throughput with increased sensitivity. If you are tired of technicalities, here's the short list of the reasons why this camera is one of the best choices for your buck that is available on the market. All these specifications are meant to make the handling of this device as comfortable and simple as possible. 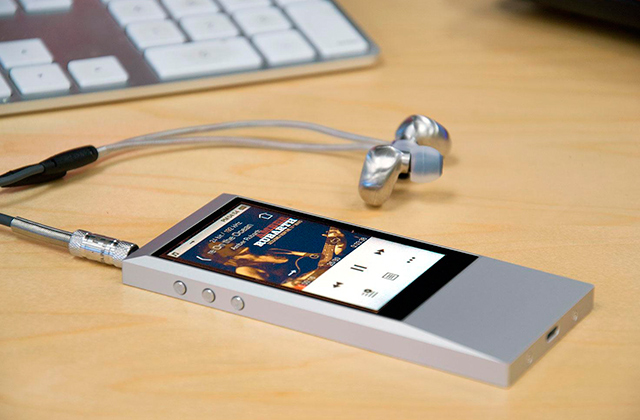 The controls are quite intuitive, the settings are easy to access and configure, and the ergonomics are great. 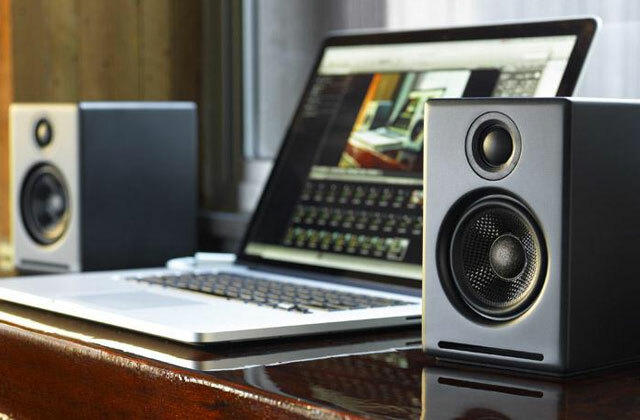 Of course, the camera can shoot videos in Full HD quality even at maximum zoom, although it may require some kind of a stand or support to get a steady picture. Also, note, recording in Full HD resolution will be possible only with an SD Card of Class 10 or better, as the writing speed in the older cards is quite low. At the shorter focal lengths, when the lens has a wide viewing angle, you can shoot beautiful panoramas or scenic nature photos around you. At the same time, its powerful zoom is suitable for sports events and dynamic shots, where you can use its ultrazoom to check out what's happening on the field down to the smallest details from a great distance. In addition to the standard shooting modes like Portrait, Scenery, Shutter, and Aperture Priority, you can choose two more settings of your own additionally for their quick access at any time. What's more, the camera has a built-in image editor with basic, yet useful functions for tuning in the contrast or colour saturation right on your camera before uploading photos to your smartphone or computer. 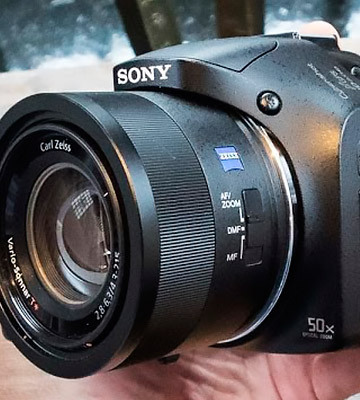 As a result, the Sony Cyber-shot DSC-HX400V bridge camera has excellent characteristics in each and every field, which makes it a suitable choice for both beginners and advanced photographers, who will also appreciate the image clarity and rich colours even on the photos taken at a 50x zoom setting. With each new model from ultrazoom S/SX-series, Canon adds a better, more powerful zoom lens. 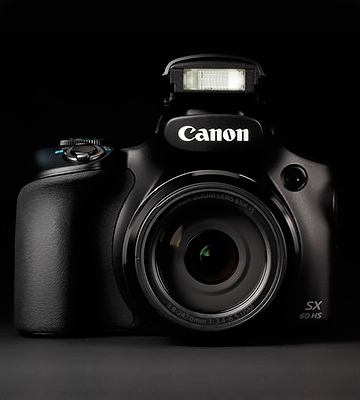 The pay-off, though, is that the maximum aperture in the SX60 at the widest position has become narrower, compared to the earlier models from the series. 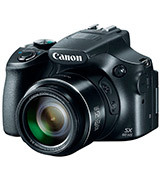 However, when compared to the previous SX50 bridge camera, the Canon PowerShot SX60 offers bigger image size, much longer zoom, and a larger 3" LCD screen at a relatively small difference in price. Its 16.1 MP 1/2.3" CMOS sensor can take photos at up to 4608x3456 maximum resolution. As for the focal length, it's equivalent to the 21-1365mm on 35mm Full Frame sensor, offering 65x effective optical zoom. You can also extend it up to 260x, using digital zoom, although it backlashes with a significant drop in picture quality. This series is also famous for its superb image stabilisation that allows photographers to take crystal-clear handheld photos. Yet, with improved magnification comes increased vibration sensitivity. Thus, using a tripod at the long focal length is advised. 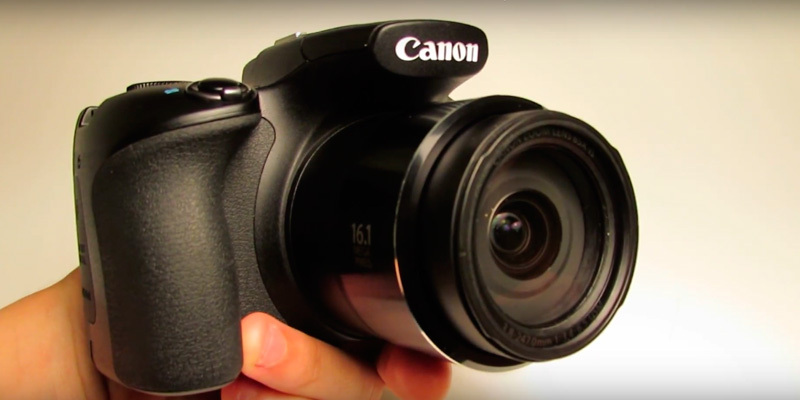 With all seriousness, the Canon PowerShot almost always featured serious functionality that is more typical of the DSLR cameras. The SX60 continues this tradition, offering their users a variety of scenic modes and additional features. Among them, there's an electronic level to determine and align the camera tilt. Another one is the focus area magnification, that comes helpful when one needs to check out if the camera's been focused right on the required object. Face ID feature is pretty interesting. It allows you to register a person's face in the camera beforehand. Next time you'll try to take the photo of the registered person in Auto mode, the intellectual face recognition will focus on him or her automatically. This can be incredibly useful for taking photos of your kid, performing on the stage among the other children or playing on the field during a sports event. The birdwatchers and nature enthusiasts may also like that the camera records quality Full HD videos at 60 FPS rate. Ergonomic-wise, the camera is pretty handy. The body is made of lightweight, yet durable plastic. The handle on the right side now has a wider rubberized area, offering a better grip for handheld photos. Furthermore, the Canon PowerShot SX60 supports NFC and Wi-Fi data transferring and smartphone or tablet control with the special free app. Summing up, this Canon super zoom bridge camera can be recommended for both amateurs and advanced users, thanks to the good optical characteristics and numerous creative visual effects. 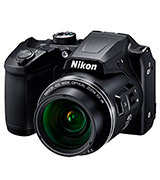 The Nikon Coolpix L340 is an easy-to-use beginner-level ultrazoom camera that comes at a very affordable price. Its 20.2 Mp sensor captures pretty nice colours and gives you a decently crisp picture even at the longest focal length without noticeable distortions. 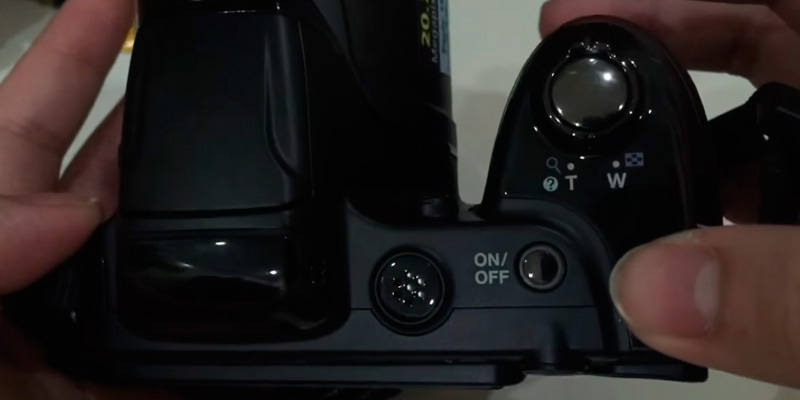 An interesting feature that you might have already noticed is the lack of the mode dial on top of the camera that is usually placed right behind the shutter button. Instead, there are only On/Off button and a small mic hole for capturing audio during video recording. 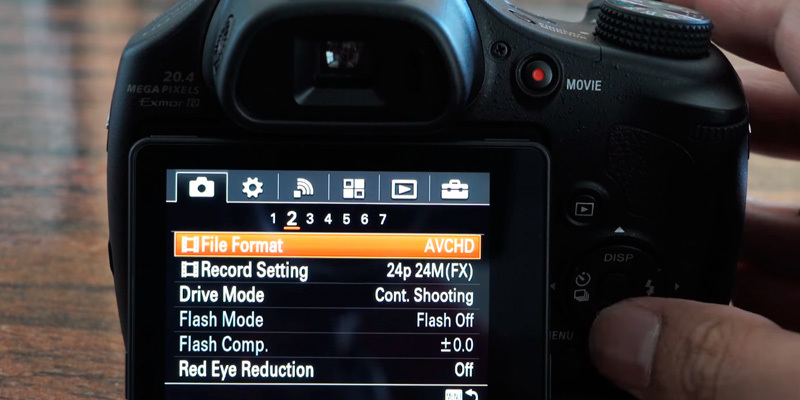 Instead, you can press a special Scene button on the rear control panel that gives you access to a variety of scene modes, colour filters, and the intellectual portrait mode. The last one involves a special facial recognition technology for automatic photo shooting once the camera detects a smile on a subject's face. This may come handy for taking self-portraits or photos of your happy friends without setting the timer. If you want to shoot handheld videos, the Nikon Coolpix L340 can easily provide you with a steady picture, owing to the built-in image stabilisation. 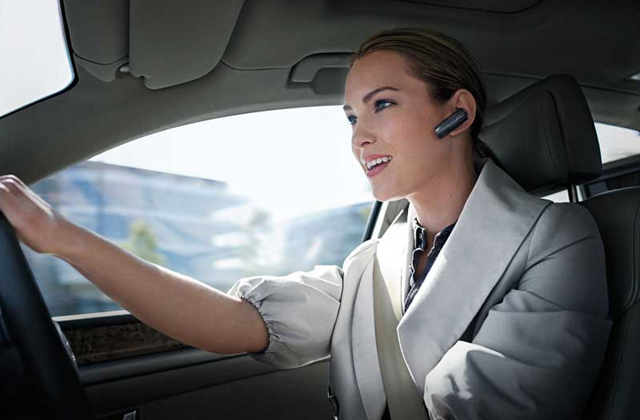 It compensates vibrations from hands and lens movement, delivering very smooth video playback. It's also worth mentioning that the autofocus is pretty accurate, quick, and spot-on most of the times during both photo and video shooting. 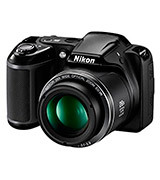 As for the image size, this Nikon bridge camera can capture videos at up to 1280x720 resolution, while the maximum still image size is 5152x3864 pixels. Although these aren't the biggest possible numbers, the videos and photos won't come out too pixelated when viewed on an HD monitor screen. So, this is more than enough for most users. More about size. This lightweight model is pretty compact when the lens is retracted, which makes it a considerable option for the travellers, who just want to have a real, yet easy-to-use camera on their journeys. The lack of an electronic viewfinder and tiltable display is compensated with the bright TFT LCD screen with the special antiglare coating. It's possible to clearly see the image on the screen on a sunny day even when the sun shines right on it. Another feature that many users may or may not like is that it works on 4 AA batteries, that are sold almost everywhere. So, you can easily buy spare ones at any time. 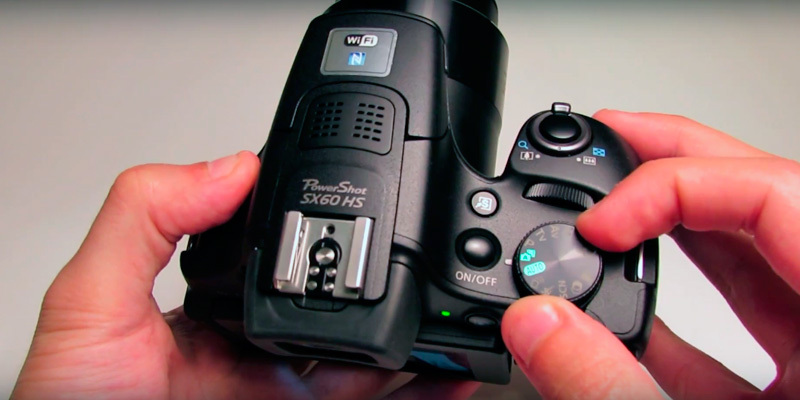 Depending on their capacity and camera modes that you choose, the 4 batteries should be enough for approximately 175 minutes of continuous video recording or more than 350 shots before they go flat. Is this bridge camera good? It is actually very good. The extra-long 4.0-112mm (22.5-630mm in 35mm format) focal length is suitable for shooting both macro close-ups, portraits, and scenery, just the same as taking photos of wildlife animals or maritime from far away. However, this is an entry-level product with mostly automatic and semi-automatic functionality. Therefore, if you prefer being able to fully control the settings in order to unleash your artistic potential, this camera might not be for you. 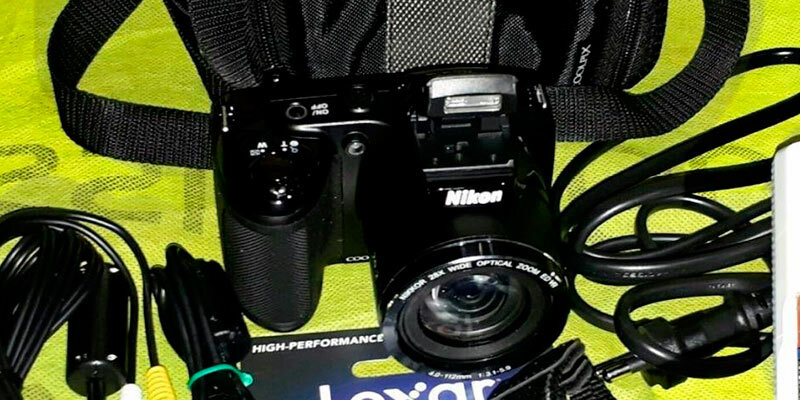 On the plus side, the Nikon Coolpix L340 is a viable choice when you need a fully automatic camera with strong zoom, so that you could simply point it at a subject and take a good-looking photo without thinking much about the scenery settings or exposure adjustments all the time. The Sony CyberShot DSC-H300 bridge camera has a standard body design with the only notable exception that there are no viewfinder and hot-shoe adaptor on the top. Still, there's a very bright built-in flash that pops out at the press of the button, placed on the front side of the body. This may feel a bit unusual at first if you owned a Canon camera before where lifting of the flash was done manually. 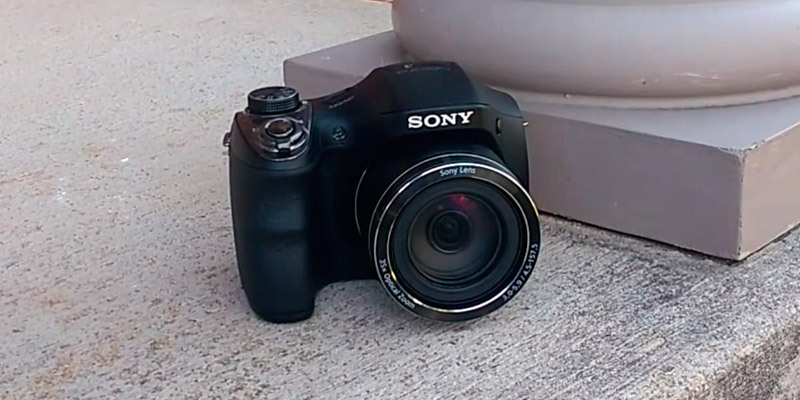 As for the photo quality, the low image noise can actually be considered a trademark of the Sony's point-and-shoot cameras. This model's 20.1 MP Super HAD CCD sensor provides the crisp photos throughout the focal length range and in low-lighting. Despite the small 1/2.3" sensor, the images turned out decently sharp and detailed even at the maximum zoom setting. At 25-875mm equivalent of 35mm sensor, this camera lens is suitable for shooting in all major genres like macro, scenery, portraiture, maritime, and many others. Thanks to the average 35x optical zoom, you'll be able to take a close-up of birds and animals without scaring them away. However, at the wide-angle position, the lens produces some noticeable barrel distortion, yet nothing that the crop couldn't fix. As for the maximum zoom, you might want to set the camera on a tripod, as the vibrations may blur a picture way too much. The Sony CyberShot DSC-H300 has a pre-set collection of popular picture effects like Toy camera, Pop colour, Partial colour, and others, which in one way or another can add an artistic touch and special atmosphere to your photos. Additionally, the device has a facial recognition software that allows it to focus on people's faces in front of the camera and automatically take photos when it detects a smile. The results can be viewed on its fixed 3" LCD screen, that we found pretty bright. Thus, shooting and checking the photos on it on a sunny day won't be a problem. 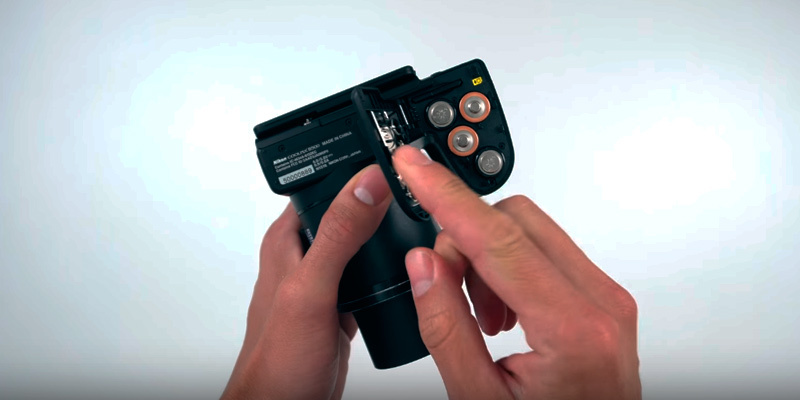 Usually, the manufacturers equip their cameras with proprietary batteries to boost the sales of their own products and also ensure that the device works as expected right out of the box. 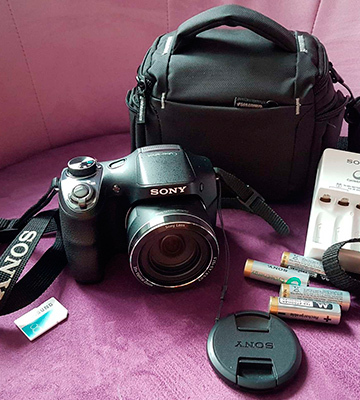 Still, many point-and-shoot cameras are powered by AA batteries, and the Sony Cyber-shot H300 is one of them. 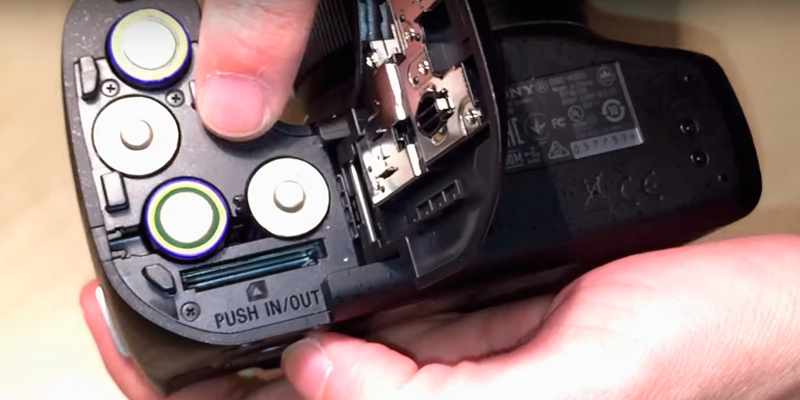 This allows you to quickly change the batteries on-the-go as they are available everywhere. Still, this device is somewhat power-demanding. 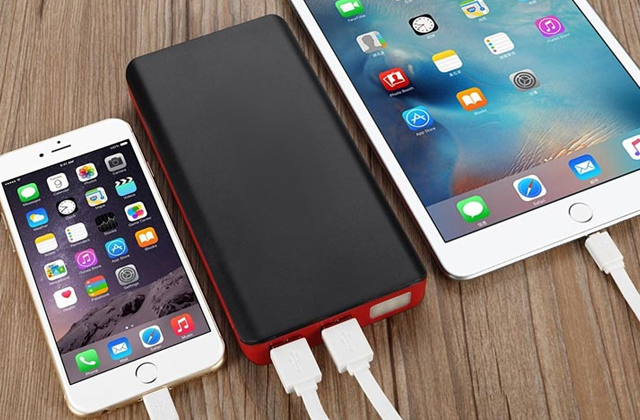 Therefore, we recommend using only high-capacity and rechargeable Ni-MH batteries with it to save money. Overall, this is a great beginner-level camera because it has decent functionality, good build quality, powerful zoom, and very convenient controls. 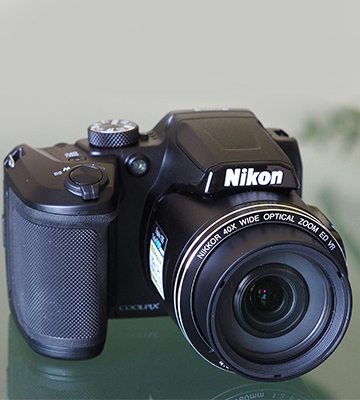 The Nikon Coolpix B500 features a 16 MP CMOS 1/2.3" sensor with built-in image stabilisation for improved photo and video quality when shooting in a handheld position. The important part is that it has a 4.0-160mm focal length which roughly translates to 22.5-900mm in 35mm equivalent of a full-frame sensor, providing you with a very wide range of possible photo genres. For instance, in a wide-angle position, the lens is able to capture beautiful scenic photos of nature and city life or macro photography. While up to 40x optical zoom is more suitable for shooting subjects that are really far away from you - things like birds, wild animals, parts of buildings, and so on. You can also extend the magnification up to 80x with the special Dynamic Fine Zoom option, which basically is a digital zoom. This allows the lens to view even further, although with a significant drop in image quality. 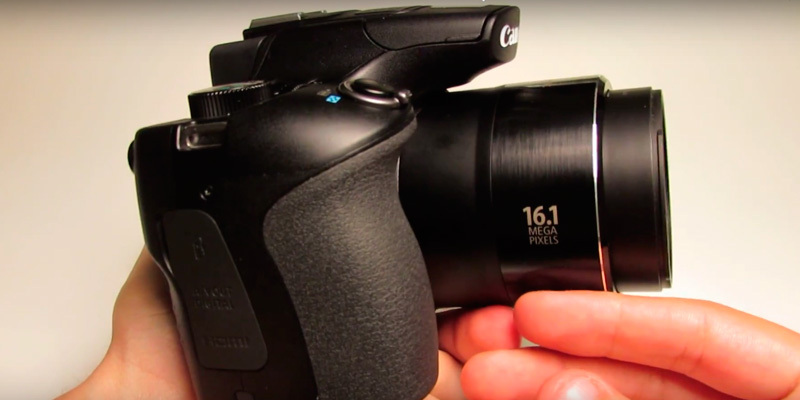 The rubberized grip makes it possible to firmly hold the camera and shoot with only one hand. However, you can control zoom with either a special ring around the shutter button or a side switch on the left side of the barrel. There's also a handy Snap-back zoom button for snapping back to the panning view, allowing you to quickly find your target in case you have lost it while zooming in. You can adjust the 3" LCD display brightness via the settings menu along with the other options. Also, the screen is tiltable at almost 90° up and down for when you need to take photos holding the camera up above your head or closer to the ground. Note, the camera comes without an SD card, so don't forget to buy one if you don't have one yet. The memory cards of Class 6 or better are recommended by the company, but we suggest getting at least Class 10 SD card if you plan on using it for recording video in Full HD with it. Speaking of movies, the image stabilisation works remarkably well in handheld shooting. 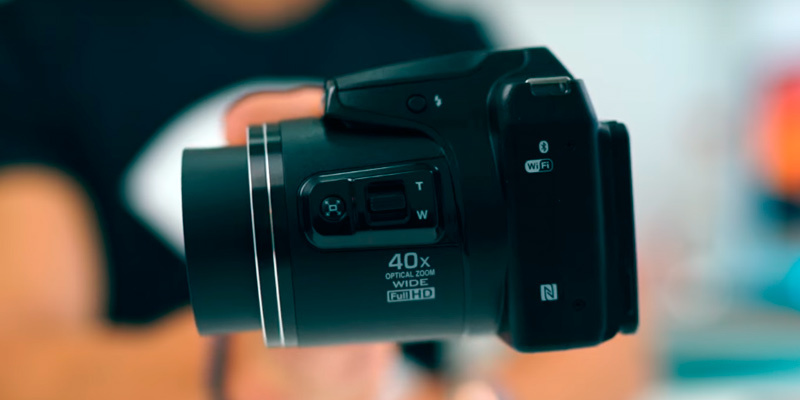 Therefore, if you need an inexpensive camera for creating short YouTube videos or something similar, this one is a good choice for at-home and outside recording. The special SnapBridge phone app, available for iOS and Android devices, will help you to expand the camera's functionality even further. It is required for uploading files from it to your phone or tablet wirelessly. But more importantly, the app also enables the shutter and zoom controls with your smart device. That way, you can take more stable photos as you don't have to physically touch the camera to press the shutter. 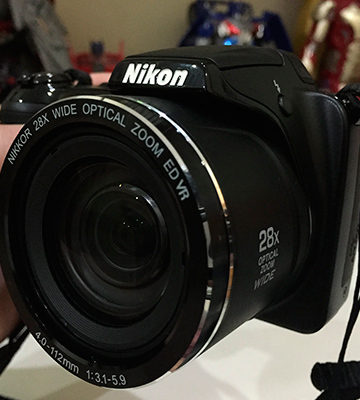 The bottom line: this Nikon bridge camera is very compact and has very decent functionality. Overall, its powerful 40x zoom makes it a great choice for taking photos during sports events as well as daily photography. Bridge cameras are often related to as a transition product between point-and-shoot and DSLR cameras. The design of bridge cameras is closer to the DSLR, but they don't have interchangeable lenses. Also, they usually have a lens with a long zoom range from around 15-20mm up to 200 and more. This is the reason why they are also often called superzoom or ultrazoom cameras. 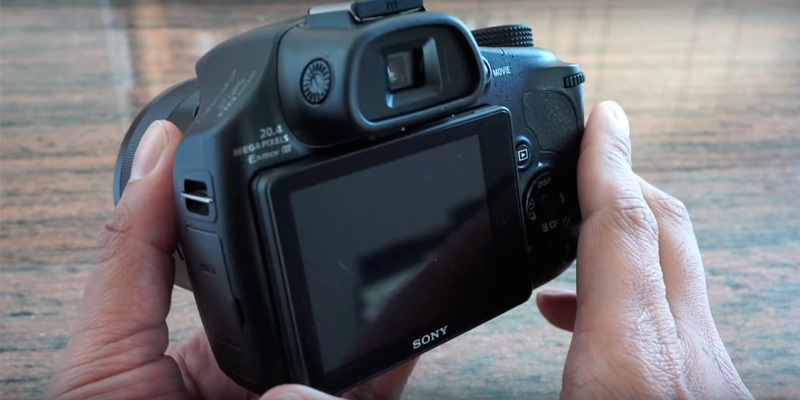 However, unlike the DSLRs, bridge cameras feature an electronic viewfinder along with an LCD screen on the rear side. Furthermore, bridge cameras can shoot in various photo genres, including portraits, panoramas, time-lapse, and macro. 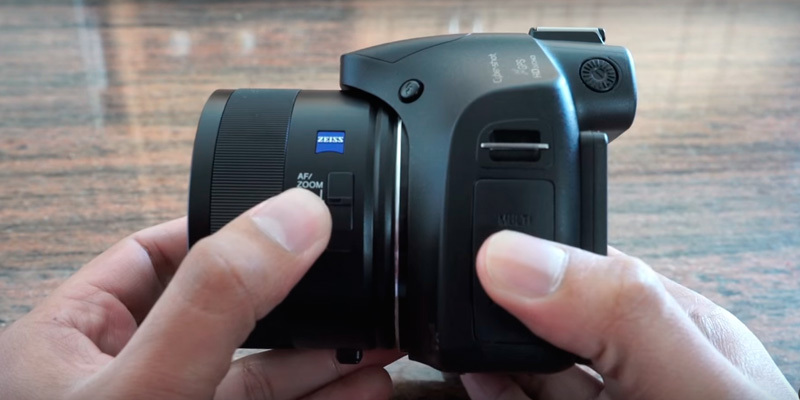 This makes them a considerable option for users who need an all-in-one camera with incredible zoom for shooting close-ups of the objects from great distances. 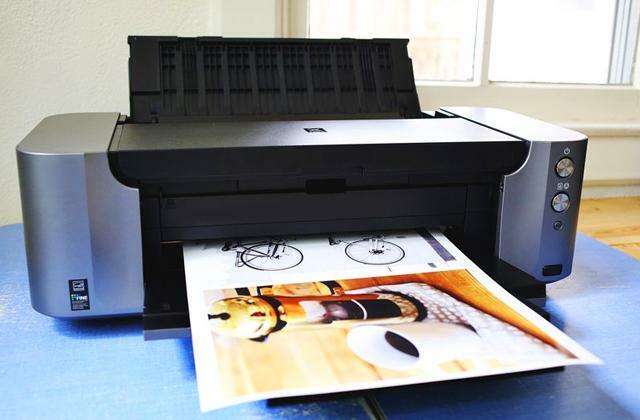 On a related note, you can easily and almost momentarily print the photos you've taken with your camera or smartphone using a mobile printer right on the shooting set. Also, if you have a relative or a friend who loves recalling their memories, consider presenting them with a digital photo frame as well. 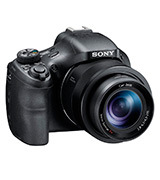 And if you are really not satisfied with a somewhat large size of bridge cameras, take a look at the point-and-shoot camera category where you can find compact and lightweight models for your needs. 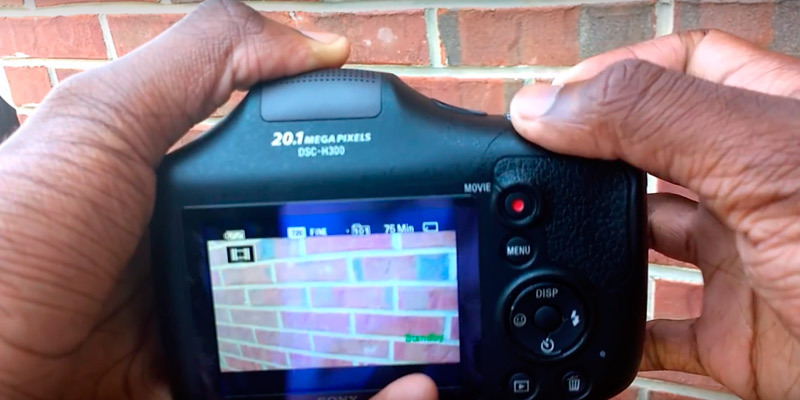 People usually turn to bridge cameras when they want something better than a standard point-and-shoot camera, but may not be ready to spend a lot of money on a DSLR camera. However, everyone may have his/her own reasons. Therefore, let's see what's what in bridge cameras. Image Sensor is a digital sensor that is used instead of a film in digital cameras to capture the light, that comes through the lens, and create an image file out of it. As a rule of thumb, the bigger the sensor is the better the image quality it will provide. Most of the sensors, used in bridge cameras, are either of CMOS type or, more rarely, CCD. The CMOS sensors are cheaper, faster, and more energy-efficient than the latter one. CCDs, though, produce less image noise and have a faster shutter speed for shooting moving objects. The actual sensor size is more important than the number of megapixels, as you will get better photo quality, rather than a huge but grainy picture. Zoom is one of the most (if not the most) important parameters in bridge cameras. Most of the modern ultra-zoom lenses have at least a 15x optical magnification ratio that can go up to around 80x. However, the companies are yet to deliver 100x magnifications, their predictions and patented technologies look promising. Most of the bridge cameras also have a digital zoom feature. However, the image quality becomes noticeably worse, when using it. Note, even 15x magnification will greatly increase the object. So, if you are not going to use the camera for shooting objects like the planes in the skies or the top of the mountain from its foot, you can save your money by getting yourself a less expensive model or the one with a better sensor. Maximum and minimum diaphragm, aperture or F-number usually refer to the same characteristic that shows how wide the opening in the diaphragm at the longest and shortest focal lengths is. The lower this number is, the bigger the actual opening will be and the more light will come through it. It will result in a brighter image, allowing you to take photos with faster exposure and under low-light conditions. Modes and filter settings in the camera may drastically improve its performance in the right hands. You should also remember that bridge cameras can shoot objects not only from far away but close ranges and even in macro too, owing to the long focal length range. So, you might want to check these characteristics as well. That is why we have provided the links to user's manuals below each product for the experienced buyers. There may be other, less important design features and parameters. 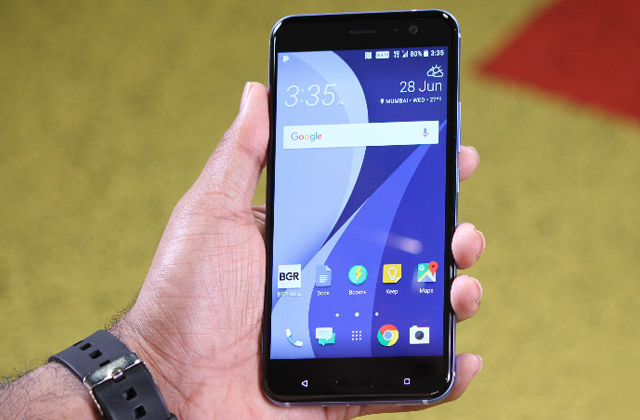 However, we've tried to cover the most useful of them in each camera's detailed review below. So, proceed to read to find out more about them. Q: What is a 35mm equivalent focal length? 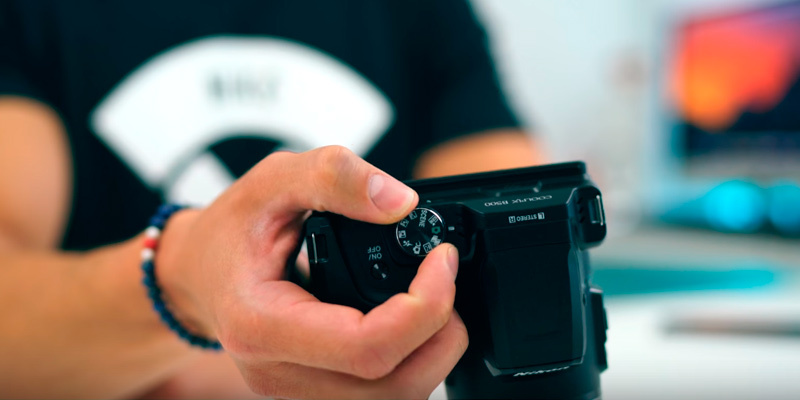 A: As the sensors in most of the point-and-shoot and even some DSLR cameras are usually smaller and therefore cheaper than the standard 35mm, the camera manufacturers have to set the lenses at a shorter distance from such sensors. This distance is named "focal length" and is usually written in mm right on the lens' barrel. However, as these smaller sensors also come in different sizes, it's easier to understand what viewing angle the lens provides by converting these numbers to the generally accepted 35mm focal length chart. 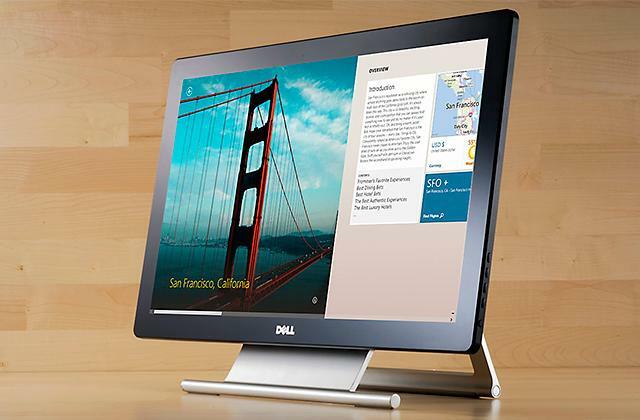 Q: Which is better: flip-out, tilt-type or fixed display? A: Generally, flip-out displays are considered the best option, because they can be rotated in almost every direction at any angle. 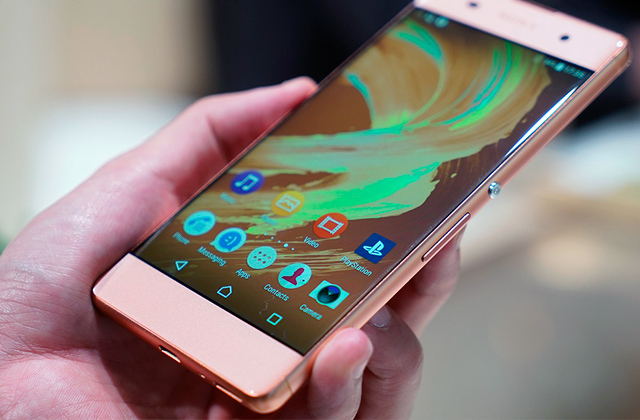 You can even close display with the screen facing the camera to protect it from hits and bumps. The tilt-type screen can be adjusted only up or down and is mostly used for when the camera is positioned below or above your head. The fixed display is simply not movable at all. A: EVF stands for the electronic viewfinder. It's a small LCD display, placed on the back of many cameras above the bigger screen. They are usually used on a bright day when visibility of large LCD suffers from the direct sunlight. 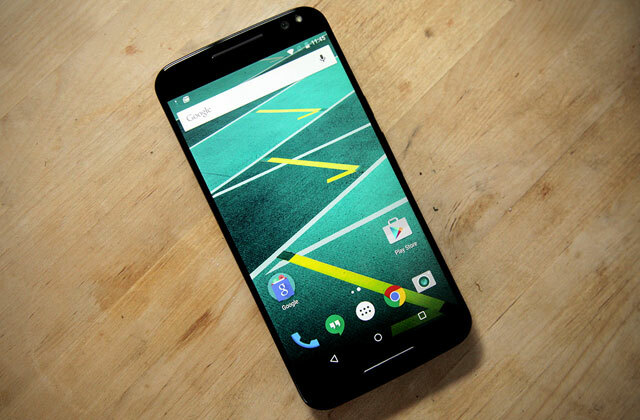 The latest technologies allowed its improvement. Thus, some companies choose to install EVF in their newer cameras. Q: What camera is good for portraits? A: You can actually shoot beautiful portraits with any ultrazoom camera. However, that particular effect when the person stands out from the blurred background is achieved with the lenses that have a wide aperture. The general rule of thumb is to look for the lens with f/2.8 or lower number in the specifications. 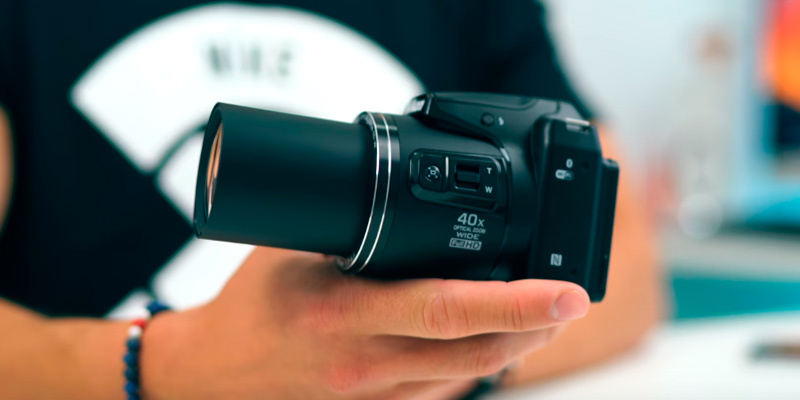 Q: Do ultrazoom cameras have interchangeable lenses? A: No. The lens is fixed to the body and cannot be detached. 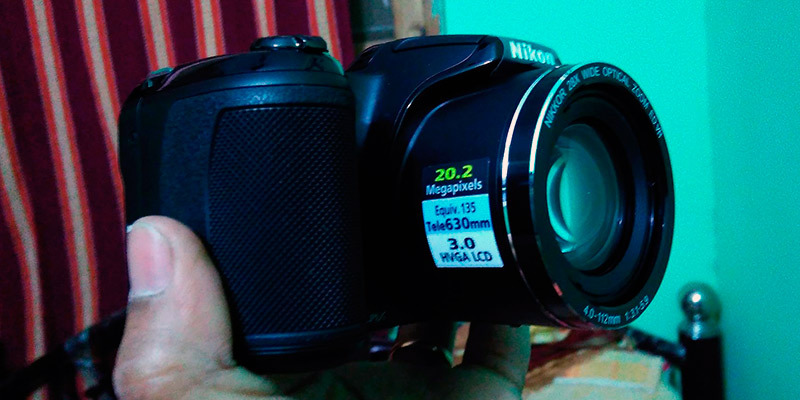 Some cameras have an option to attach optical filters for additional visual effects though. Q: Can I use MicroSD cards with these cameras? 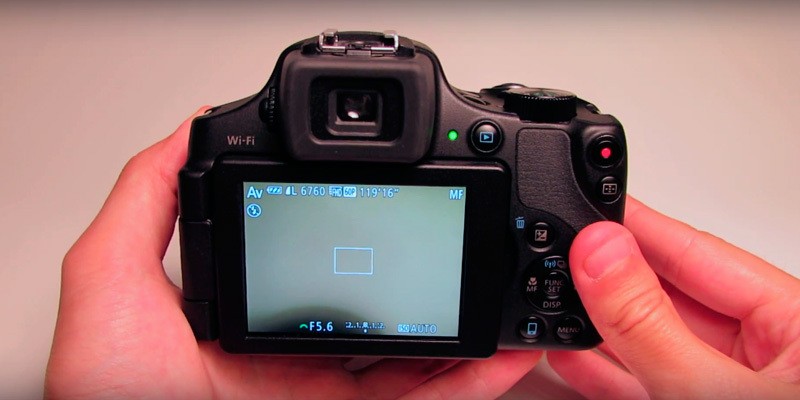 A: Most of the digital photo cameras have an SD card slot. Therefore, you can't just plug the microSD card in. However, microSD cards are usually sold together with the microSD-to-SD card adaptor, which makes it possible to use them. Ask your friends around. High chances are they have a spare adaptor from the card they have bought for their smartphone. Q: What is the size of the image file? A: Depending on the selected quality, the JPEG file usually takes up to 12 MB per photo. The RAW file - from 10 to 30 MB. 1. Nigel Atherton The WDC Guide to Bridge Cameras, WhatDigitalCamera. June 20, 2016. 2. Ryan Shawr How to buy the best bridge camera, Which? 3. Gavin Stoker What is a bridge camera? techradar. January 6, 2012. 4. Josh A Beginner’s Guide To Photography, ExpertPhotography. 5. Bridge camera, Wikipedia. September 6, 2016. 6. Tips On Choosing And Buying A Digital Camera, ePHOTOzine. January 12, 2016. 7. Keith Reilly DSLR vs Bridge Camera, PictureCorrect. 2016. 8. Jim Goldstein 10 Tips For Great Telephoto Photography, Digital Photography School. 9. Jason D. Little 6 Tips for Successful Macro Photography, Light Stalking. December 9, 2012.